Dear Students, We are sharing today(28.02.2019) current affairs in Hndi as well as in English language. Dear Students, Online Registration of RRB Recruitment CEN No. 01/2019 ( NTPC ) will start from 01.03.2019. Earlier it was to be activated today on 28th Feb 2019, but now it has been posponed for one day. 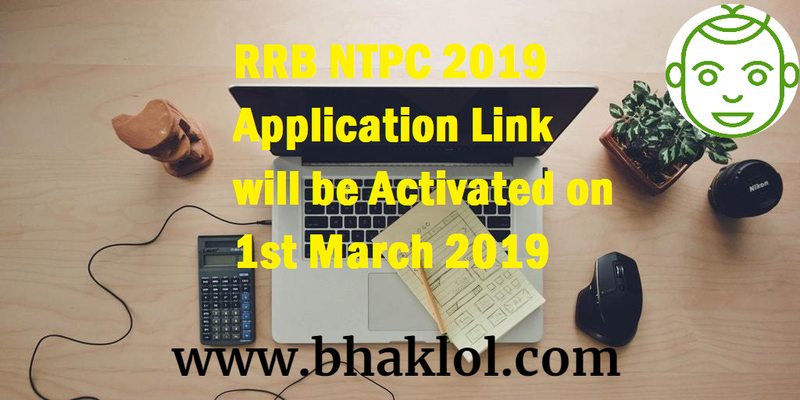 Now RRB NTPC 2019 Application Link Activated now. 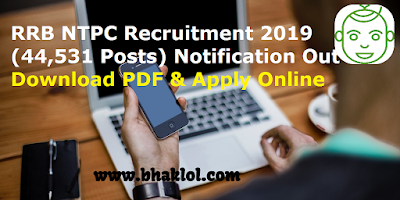 Dear Students, We are sharing RRB NTPC Recruitment 2019(44531 Posts) Detailed Notification PDF. Online Registration of CEN No. 01/2019 ( NTPC ) will start from 01.03.2019. Dear Students, Today we are sharing a youtube refernce video which will guide you to Fill UPSC CSE / IAS / IFS 2019 Form Online which is iframed here. Step by Step process is elaborated in this video, once you watch this video completely, you may apply online from your home by using laptop or PC. We are sharing some documents name, application dates, application link and application fees of UPSC CSE / IAS / IFS 2019 Form. Dear Students, Railway Recruitment Board(RRB) has released RPF SI(Sub-Inspector) 2018-2019 PET(Physical Endurance Test), PMT(Physical Measuring Test) and DV(Docuemnent Verification) Dates for All Groups. RPF SI PET is scheduled to be conducted in the month of March 2019. RRB has released admit card for the Candidate Shortlisted for PET, PMT and DV in RPF SI(Sub-Inspector) 2018-2019 recruitment examination. We are sharing RPF SI PET Admit Card 2018-2019 download link. RPF SI PMT, PET & DV 2018-2019 scheduled in the march 2019. Railway Recruitment Board(RRB) has released Railway RPF SI Result 2018-2019 which was conducted for various groups in the month of December 2018 and January 2019. No login is required to check your RPF SI Result status. 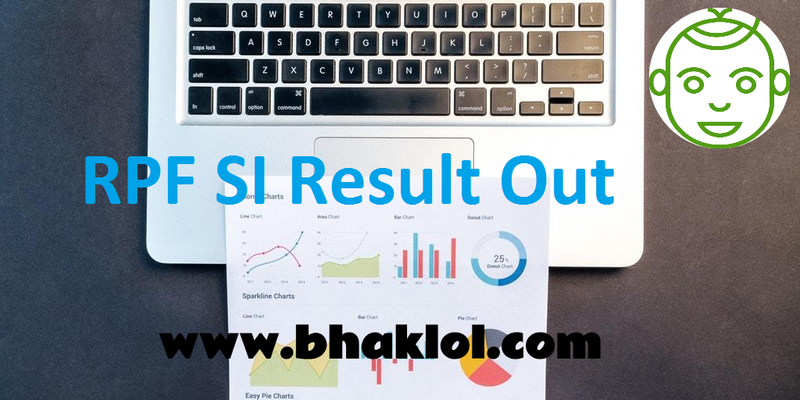 We are sharing Group wise RPF SI Result 2018-2019 PDF Link where you can check your Roll Number and Name. ESIC has released FINAL SELECT LIST FOR RECRUITMENT TO THE POST OF JUNIOR ENGINEER (CIVIL & ELECTRICAL) – 2018-2019. The Written Examination (Computer Based Test) for recruitment to the post Junior Engineer (Civil) and Junior Engineer (Electrical) was held on 24th January, 2019. STAFF SELECTION COMMISSION HAS RELEASED ADMIT CARD / CALL LETTER / HALL TICKET FOR SUB-INSPECTORS IN DELHI POLICE, CAPFs & ASSISTANT SUB-INSPECTORS IN CISF EXAM-2018 (PAPER-I) TO BE HELD FROM 12/03/2019 TO 16/03/2019. Candidates Name and Date of Birth or Roll Number / Registration Number required to download SSC CPO Admit Card 2019. 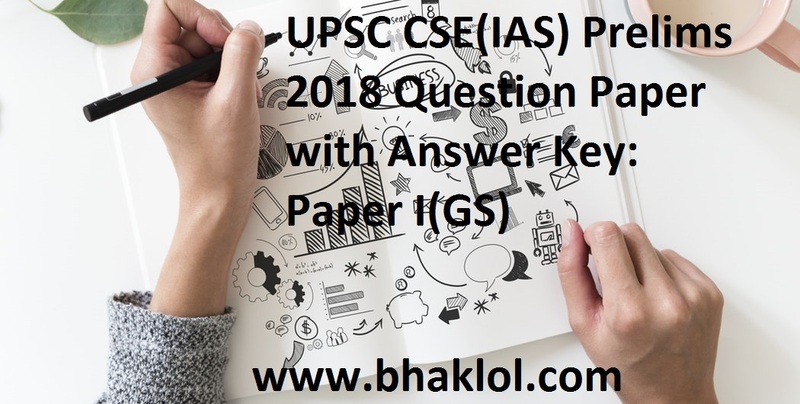 Dear Students, We are sharing Question Paper of UPSC CSE(IAS) Prelims 2018 Paper-II(CSAT) with answer key. If you are going to write upcoming UPSC CSE, you must solve last five years question paper of this examination which will help you in understanding the type of questions ask in this examination. 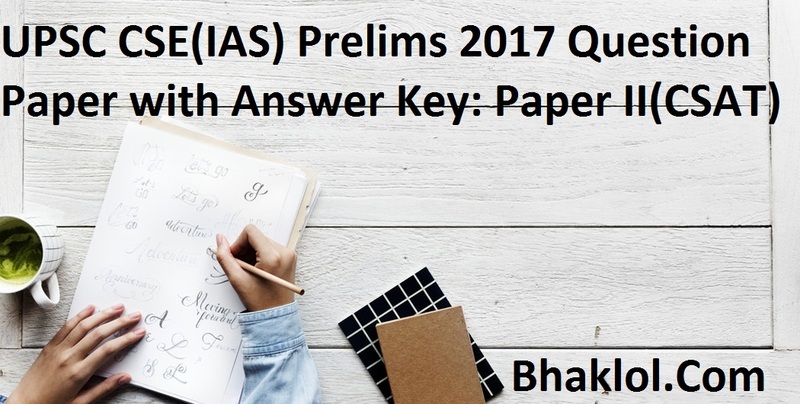 Dear Students, We are sharing Question Paper of UPSC CSE(IAS) Prelims 2017 Paper-II(CSAT) with answer key. 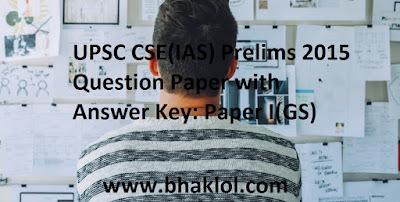 If you are going to write upcoming UPSC CSE, you must solve last five years question paper of this examination which will help you in understanding the type of questions ask in this examination. 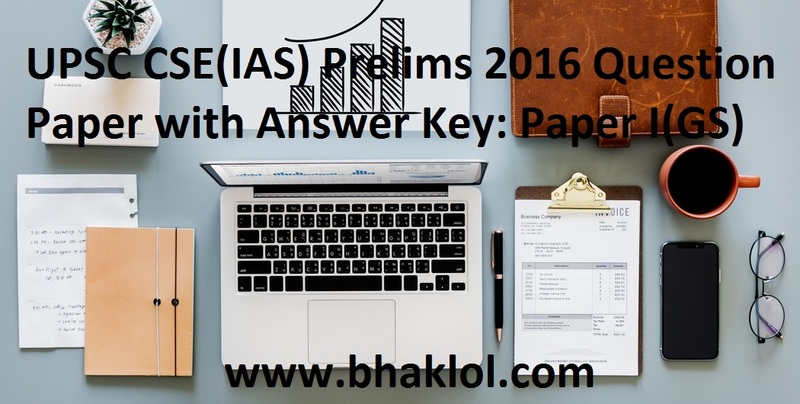 Dear Students, We are sharing Question Paper of UPSC CSE(IAS) Prelims 2016 Paper-II(CSAT) with answer key. If you are going to write upcoming UPSC CSE, you must solve last five years question paper of this examination which will help you in understanding the type of questions ask in this examination. 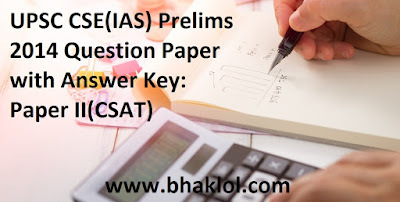 Dear Students, We are sharing Question Paper of UPSC CSE(IAS) Prelims 2015 Paper-II(CSAT) with answer key. If you are going to write upcoming UPSC CSE, you must solve last five years question paper of this examination which will help you in understanding the type of questions ask in this examination. 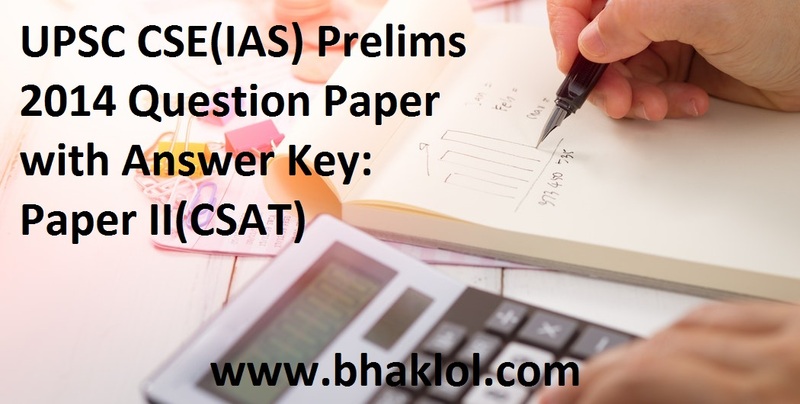 Dear Students, We are sharing Question Paper of UPSC CSE(IAS) Prelims 2014 Paper-II(CSAT) with answer key. 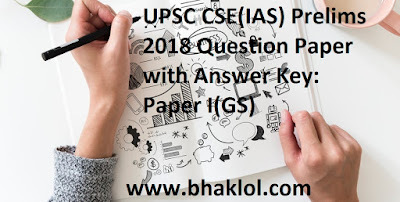 If you are going to write upcoming UPSC CSE, you must solve last five years question paper of this examination which will help you in understanding the type of questions ask in this examination. 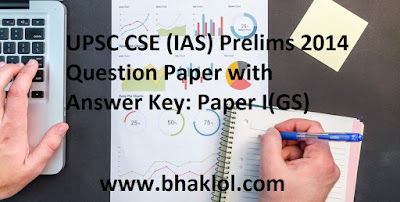 Dear Students, We are sharing Question Paper of UPSC CSE(IAS) Prelims 2018 Paper-I(GS- General Studies) with answer key. If you are going to write upcoming UPSC CSE, you must solve last five years question paper of this examination which will help you in understanding the type of questions ask in this examination. 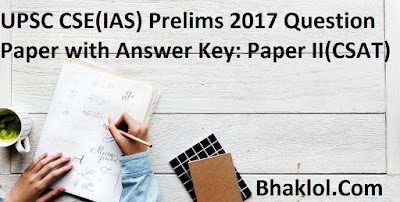 Dear Students, We are sharing Question Paper of UPSC CSE(IAS) Prelims 2017 Paper-I(GS- General Studies) with answer key. If you are going to write upcoming UPSC CSE, you must solve last five years question paper of this examination which will help you in understanding the type of questions ask in this examination. 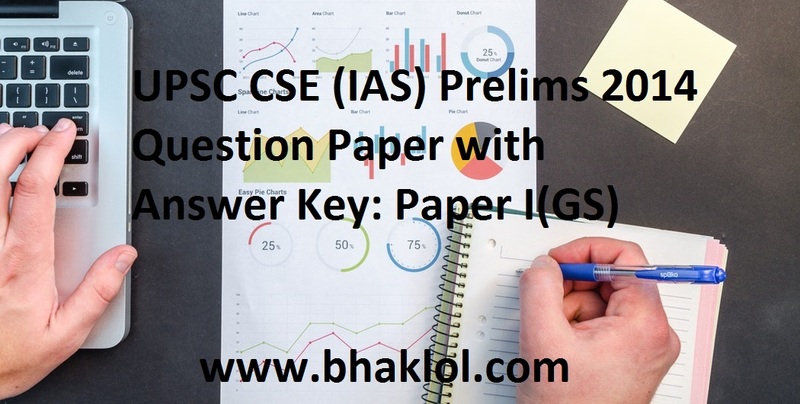 Dear Students, We are sharing Question Paper of UPSC CSE(IAS) Prelims 2016 Paper-I(GS- General Studies) with answer key. 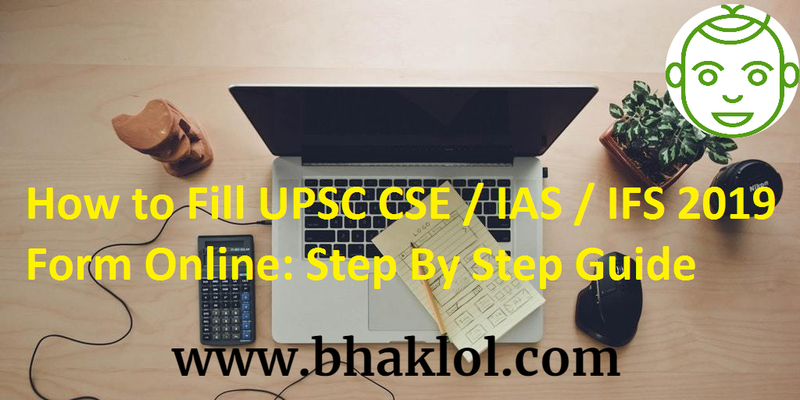 If you are going to write upcoming UPSC CSE, you must solve last five years question paper of this examination which will help you in understanding the type of questions ask in this examination. 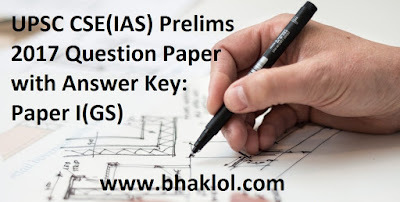 Dear Students, We are sharing Question Paper of UPSC CSE(IAS) Prelims 2015 Paper-I(GS- General Studies) with answer key. If you are going to write upcoming UPSC CSE, you must solve last five years question paper of this examination which will help you in understanding the type of questions ask in this examination. 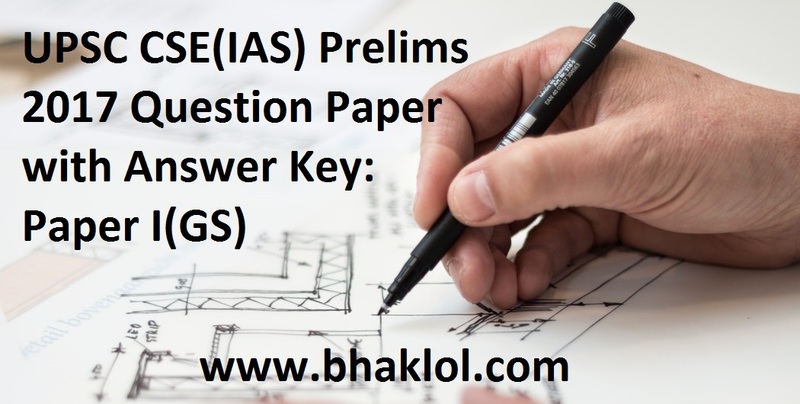 Dear Students, We are sharing Question Paper of UPSC CSE(IAS) Prelims 2014 Paper-I(GS- General Studies) with answer key. If you are going to write upcoming UPSC CSE, you must solve last five years question paper of this examination which will help you in understanding the type of questions ask in this examination. 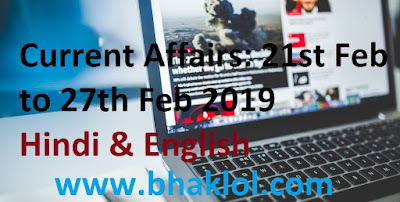 Dear Students, Online Application Link for FCI 4103 JE, Steno, Typist and Assistant Posts was to activate today on 23rd Feb 2019 by 10am, now extended to 28 Feb 2019. Now Application link for online form would be available from 28.02.2019 -10:00 Hrs to 30.03.2019 - 24:00 hrs. 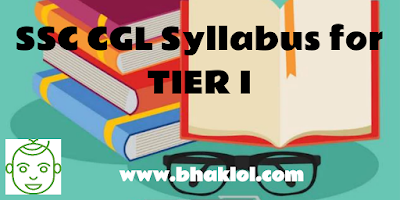 SSC CGL official notification will be released soon. The SSC CGL Exam is conducted each year to recruit candidates for Group B & Group C Posts. SSC CGL has been one of the most awaited exams of the year, hence, this is the right time for you to start your preparation for the SSC CGL Tier I 2019. 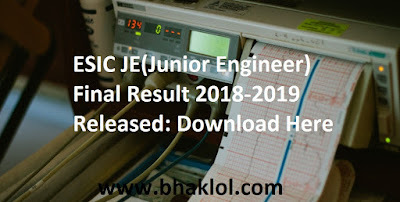 Bihar PHED JE(Junior Engineer) Merit List 2019 has been published. 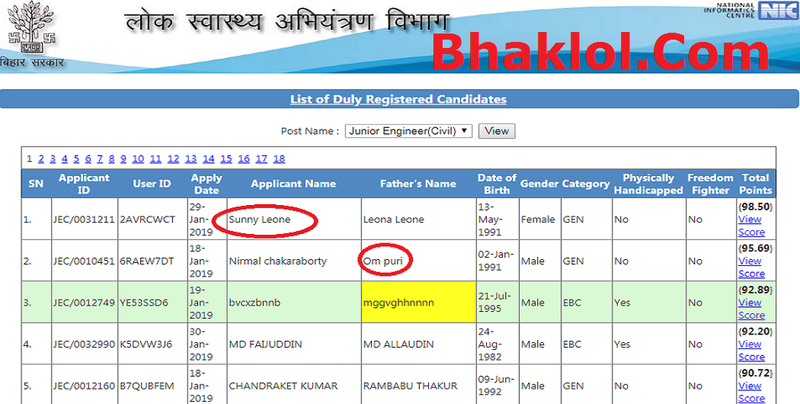 Many big mistakes are seem to be suggested by us(Bhaklol.Com) to Bihar Government to enquire this merit list again because the student's name who top this exam is Sunny Leone, the second topper's father's name is Om Puri and many more issues can be seen in this merit list. Dear Students, UPSC CSE 2019 Official Notification has been released and application link also has been activated now. Candidates are looking for the exam centres for UPSC CSE 2019 Exam. We are sharing UPSC CSE(IAS) 2019 Examination Centres List for both Prelims and Mains. You can opt exam centre which will be nearby. RSMSSB NTT Teacher Admit Card 2018-2019 has been released now. Examination is scheduled to be conducted on 24th February 2019. There are total 1310 vacancies have been published for this recruitment examination. 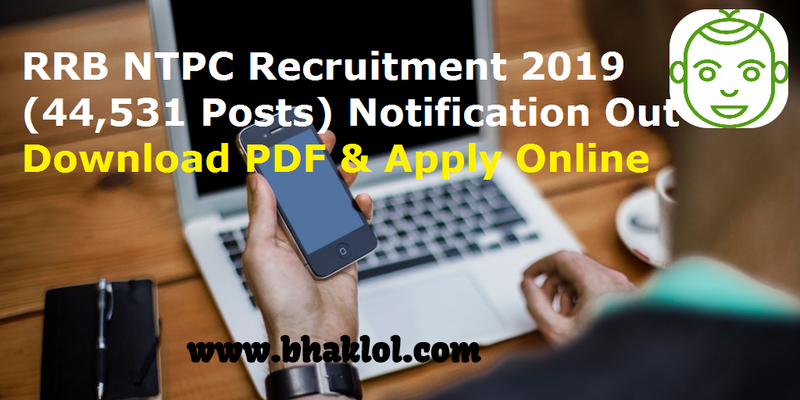 UPSC CSE 2019-2020 official notification has been published now. 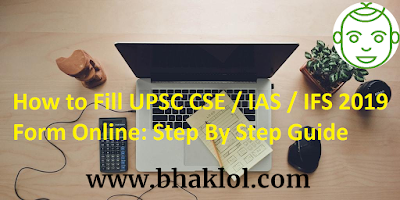 Also application link has been activated to apply online for UPSC CSE(IAS/IPS/IFS/IRS/Others) 2019-2020. Last Date to Apply Online is 18th March 2019. Indian Navy SSR, MR, AA Admit Card 2019 has been released now. Indian Navy to conduct exam from 23 Feb to 25 Feb 2019 for the post of MR and from 26 Feb to 28 Feb for the post of SSR and AA. Candidates need to login to download Indian Navy SSR, MR, AA Admit Card 2019. UPPBPB has released UP Police Constable Final Result 2019 at uppbpb.gov.in. We are sharing direct link to download UP Police Constable Final Result 2019. Offline Examination of IB Security Assistant conducted on 17th February 2019 across the country. 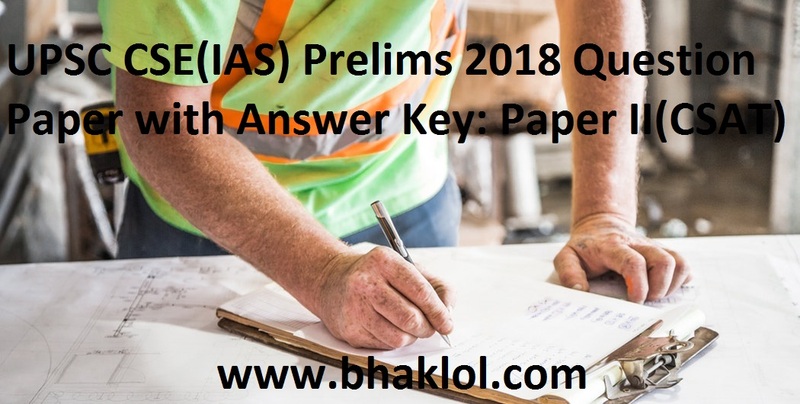 We are sharing IB Security Assistant(SA) 2019 Answer Key alongwith Question Paper. Its unofficial, you may match your answer with this answer sheet. Allahabad HC UP Civil Court Clerk Final Result 2018-2019 has been released now. We are sharing direct link to download Allahabad HC UP Civil Court Clerk Final Result 2018-2019. There are total 4386 posts. Uttar Pradesh Basic Education Board has released UP Assistant Teacher Re-Evaluation Result now. Total 68500 Posts have been advertised for this recruitment examination. We are sharing direct link link to download UP Assistant Teacher Re-Evaluation Result. SSC has released Tentative vacancy of Junior Engineer (Civil, Mechanical, Electrical and Quantity Surveying & Contracts) Examination, 2018. 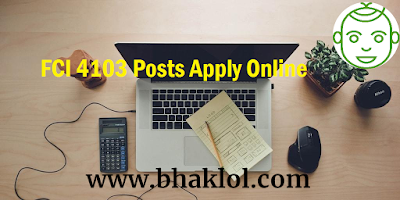 As per notice published on 15th feb 2019, there are total 1601 posts. Dear Students, RRB has released Answer Key of Railway RPF Constable 2018-2019 Online Examination of many Groups. We are sharing direct link to download RPF Constable Answer Key. Roll Number, Date of Birth, Exam Date and Batch Name required to download Railway RPF Constable Answer Key. UPSESSB has released UP TGT 2016 Admit Card. UP TGT 2016 Examination is scheduled to be conducted on 8th March 2019 and 9th March 2019. Dear Students, IB Security Assistant 2018-2019 Online Examination conducted today on 17th February 2019. We are sharing IB Security Assistant Phase-I Exam Analysis and Questions asked. We also shaing Minimum CutOff Marks required for IB Security Assistant Phase-II Exam. 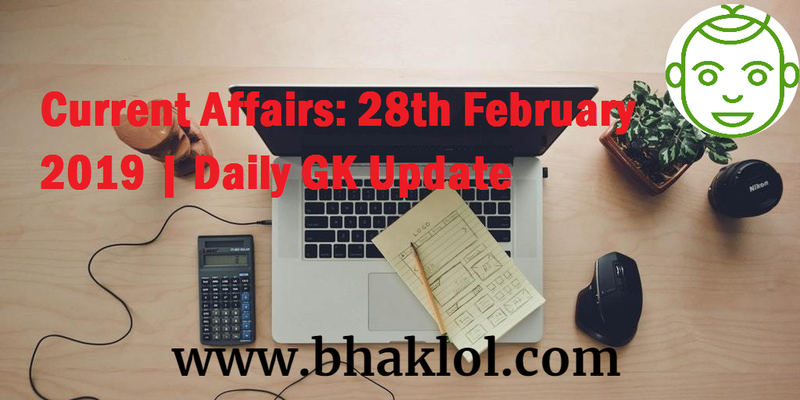 Dear Students, We are sharing SSC GD Constable 2018-2019 Exam Analysis and Questions Asked from 11th February 2019 to 17th February 2019. As per review given by the appeared candidtaes, overall difficulty level of this week's exams was of easy to moderate level. The 2nd Stage CBT for ALP & Technician Posts against CEN 01/2018 was conducted on 21.01.19, 22.01.19, 23.01.19 and 08-02-19. 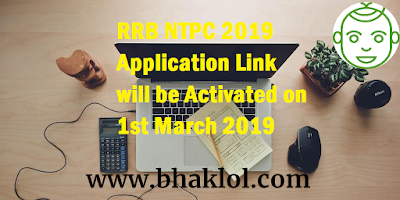 In order to enable candidates who appeared in this CBT to view their question papers, responses and answer keys, a link has been provided on the websites of RRBs which has been activated now and will be active from 12:00hrs on 18-02-2019 to 23:59 hrs of 20-02-2019. Railway RRB Group D Result 2018-2019 is Expected to Release Tomorrow(28th Feb 2019). Online Exam was conducted from 17th September 2018 to 17th December 2018. There are total 62,907 vacancies have been published for this recruitment examination. More than 1.5 Crore candidates applied for this exam. SSC GD Constables 2019 Online Examination is going on these days. We are sharing SSC GD Constables 2019 Exam Dates and Shift Timings. Exam started on 11th February 2019 and it will end on 11th March 2019. Dear Students, Shift – I of Stenographer Grade ‘C’ & ‘D’ Examination 2018, which was held from 10:00 am to 12:00 noon on 05/02/2019, has been cancelled and is re-scheduled to be held on 08/02/2019 from 03:00 pm to 05:00 pm. RAILWAY RECRUITMENT BOARDS(RRB) has released notice regarding Rescheduling of 2nd Stage Computer Based Test (CBT) of CEN 01/2018 (ALP & Technicians Posts). The 2nd Stage CBT for ALP & Technician Posts against CEN 01/2018 was conducted on 21.01.19, 22.01.19 & 23.01.19. However, for certain number of candidates, the CBT could not start/complete on these dates at some of the venues on account of technical reasons. Accordingly, for such candidates the 2nd Stage CBT is rescheduled on 08.02.2019. Result of RPF Sub Inspector 2018-2019 for Group E and Group F. List of Candidates Shortlisted for PET, PMT and DV in RPF SI 2018 for Group E and Group F has been released. Tentative Test Date of PET, PMT and DV for Group E and Group F scheduled in Last week of February. UPSC has released Final Result of Combined Defence Services Examination (I), 2018 (OTA). The number of vacancies as intimated by the Government, for (i) 109th Short Service Commission Course (for Men) is 225 and for (ii) 23rd Short Service Commission Women (Non-Technical) Course is 12. On the basis of Written Examination ( Knowledge Test) held on 23.12.2018 for the post of Male Constable (GD) Cat. No. 01, Advt. No.03/2018 of Police Department Haryana, the Commission has released list of the candidates for Physical Screening Test. Result of AAI Junior Executive and Manager 2019 Examination has been released. There are total 908 vacancies have been published for this recruitment. On the basis of performance in On-line test held on 30.11.2018, list of shortlisted candidates for DV and Vocal Test have been released. 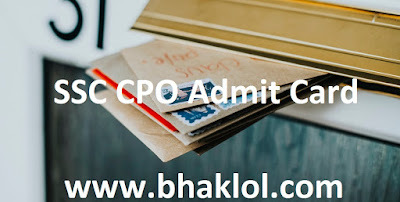 Admit Card of UP Board 10th and 12th Examination 2019 has been released now. Exam is scheduled to be conducted from 7th February 2019. User Id and Password are required to download admit card.